According to the media, Beyoncé delivered a week ago, but the babies remain in the hospital for “minor reasons.” This is not unusual. It’s possible that the twins were born a bit early and the babies might be slightly underweight. Other reasons their delayed hospital discharge include the following: increase risk of yellow jaundice, breathing problems, poor feeding or an irregular heartbeat. 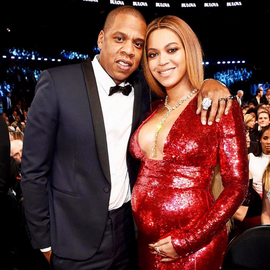 Whatever the problem is, I’m sure it will be resolved quickly under the watchful eyes of the neonatal nurses as well as the Carter and Knowles families. Beyoncé’s twin pregnancy will be remembered for many reasons. Not everyone can rock a pair of heels during her 7th or 8th month of pregnancy and sing upside down as she did at the 2017 Grammy Awards nor am I recommending that pregnant women try that. And my fellow Marcy Housing Alumnus Jay-Z, is to be commended as well. Rather than attend the Songwriter’s Hall of Fame ceremony for which he was an inductee, he opted to remain by Beyoncé’s side at the hospital. Singer, song writer, 22-time Grammy Award winner, actress, visual artist extraordinaire, wife, formerly mother of one and now mother of twins. A phenomenal woman you are, indeed. All the best with the twins, Mr. and Mrs. Carter. Your devoted fans can’t wait to meet them.